“You are asking employees to be collaborative and at another side everybody in the organization is assessed based on their individual targets. Where individuals are more focused towards their own targets, how can they be collaborative. In fact, “my targets” feeling is actually detrimental to team spirit.” One employee was challenging his supervisor during annual performance evaluation meeting. Superiors are superiors and they have explanation for everything, but when they don’t have any valid justification, they refer the matter to HR. The supervisor also referred the employee to HR. When employees went to the HR Manager, she actually had no explanation either. The performance management system was established in the company almost few years back on the recommendation of some top consultant. When the system was implemented the circumstances were different, however there were no changes in the performance management system. Above story is common in corporate world. Almost everybody follows the similar performance management system, same KRA and KPI system; based on “What should be achieved”. Some organizations add the element of “How it should be achieved” by introducing some competencies, capabilities and behaviour where they make the system more equivocal. At the end of the year. Off course they also don’t forget to classify their employees in forced distribution. By doing this all, they don’t even consider the nature of their business. At the end of the year, it becomes just one of the rituals and tool for giving salary hike to beloveds in the hand of line managers. You can see the examples where business is not doing well, but employees in team are rated excellent. Most of the times, HR is clueless as usual. Line managers are more smarter than HR to adjust any HR system as per their convenience. 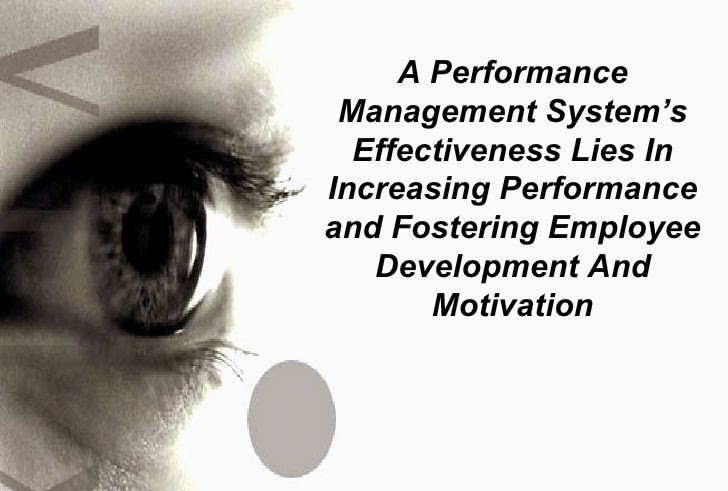 “Today’s widespread ranking- and ratings-based performance management is damaging employee engagement, alienating high performers, and costing managers valuable time. We need the system where employee would be evaluated but also be fairly evaluated. However the system should be in align with your organizational business and culture. If your business needs more teamwork and collaborative thinking, you may have to choose the combination of team based and individual based targets and complimented by bahviour, but if your business needs “daily bout” like FMCG segment or media marketing, you may choose to have more focus on individual targets. I am not saying the whole performance management should be replaced, but we need to take the holistic approach as per the business need and cultural context of the organization. I like your page.Businesses have become very sophisticated today. It is even much likely that most sellers and producers never get to see the actual clients who consume their goods, and vice versa.Thanks for great information you write it very clean. I am very lucky to get this tips from you.